A major decrease in fatalities on roads across the nation is the lowest it has been since 2014. In a statement released today by the Federal Government recent statistical analysis shows there were 78 fewer fatalities in 2018 marking a 6.4 per cent drop from the previous 12-month period. It’s the lowest total for a 12-month period since August 2014. The figures are collected and analysed by the Bureau of Infrastructure, Transport and Regional Economics (BITRE) using information provided by State and Territory transport agencies throughout Australia and the Australian Bureau of Statistics. While New South Wales saw a 9 per cent decline compared with 2017, South Australia reported a 19 per cent drop the largest percentage of all the states with Victoria next with a 17.4 per cent decline. Queensland recorded the same amount of fatalities as it had in 2017. Both the Northern Territory and ACT each experienced increases. Released this week, the national figures suggest current law enforcement measures and better public awareness for road safety is working. 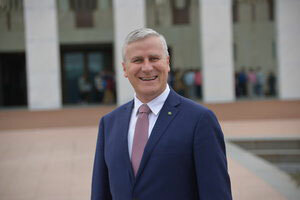 Deputy Prime Minister and Minister for Infrastructure Michael McCormack welcomed the reduction in road fatalities but warned all road users against complacency. “A 6.4 per cent decline in road deaths last year should trigger a reason to ask how that performance can be improved in 2019 and what more can we do to make a difference,” he said. “One road death or accident is one too many and the release of these recent national road death figures should serve as a reminder to all road users and stakeholders, including all governments, to be ever vigilant and work harder to achieve improvements,” Mr. McCormack said.